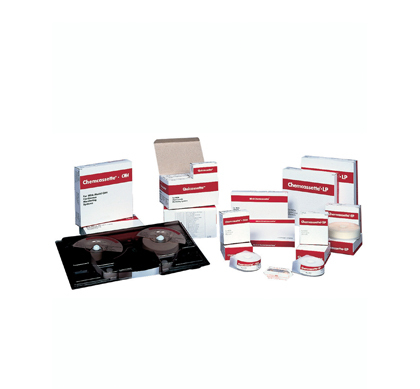 Chemcassette is the unique trademarked name by Honeywell Analytics for a calibration free toxic gas detection method that uses an optical scanning system to detect the presence of a gas by the color change on a special chemically impregnated paper tape. Highly specific, the Chemcassette technology reacts extremely fast the many hazardous gases to the presence of parts per billion (ppb). Currently over 200,000 points of gas detection are maintained by the Chemcassette sensing technology at any given time around the World as some of the most critical safety applications possible.